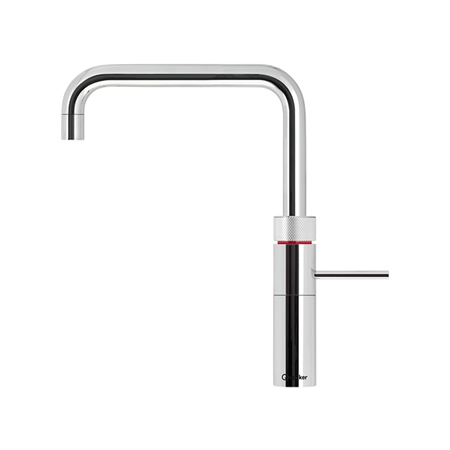 Can I Use A Quooker Tap With A Water Softener? 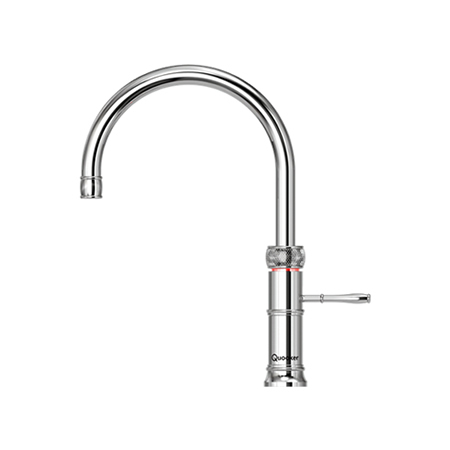 With a Quooker in your home, you always have instant access to 100°C boiling water. And that's really useful. No more filling a pan or a kettle with water and having to wait - just 100°C boiling water from the tap within a second. It's perfect if you want to make a cup of tea, cook pasta, blanch vegetables, rinse the greasy oven dish or even prepare a baby's bottle. the inventor of the boiling water tap, is now a daily reality for hundreds of thousands of users worldwide. Several times every day, they enjoy the convenience of instant boiling water direct from the tap and the time it saves. Because honestly, there isn't a day in your life when you haven't something better to do than wait for water to boil! 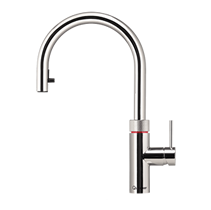 So, with a range of options available on the market, why choose the original boiling water tap? 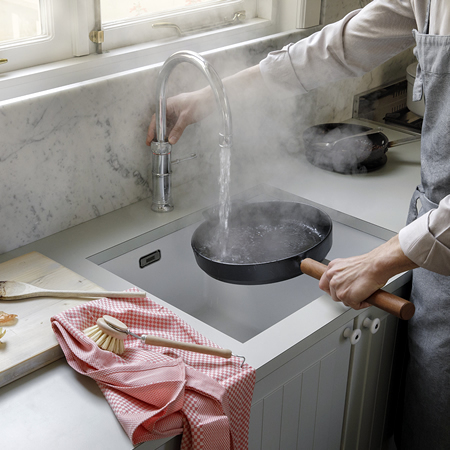 With a Quooker, you never need to wait for water to boil. It is available instantly, saving you time on days when you are trying out complicated recipes on friends and particular days when you are busy with work, school, sport and clubs. Saving time is always good. Anyone who needs boiling water several times a day will not use more energy with a Quooker than with a kettle. With a Quooker COMBI tank (which provides both boiling and hot water from a cold feed), you can even save energy. This is the first 'boiler' in the world with high-vacuum insulation, using 50 percent less energy than a kitchen boiler. 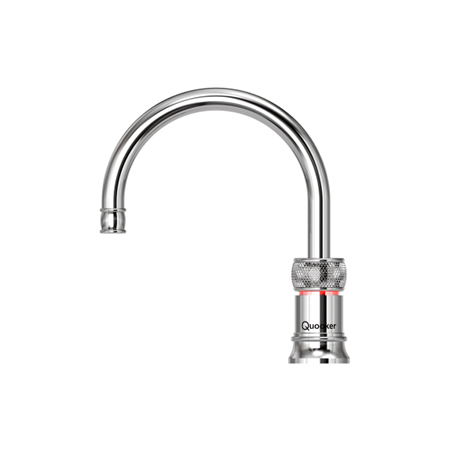 As the most energy-efficient hot water supply for the kitchen, the Quooker COMBI has an energy rating of A. We all know it's important to be economical with water and yet, so many households unnecessarily waste it both in small amounts - for example if you boil twice as much water as you need - but also in larger amounts, when you let the tap run for a whole until the water heats up. A Quooker helps you prevent wastage like this. Do you have a small kitchen? 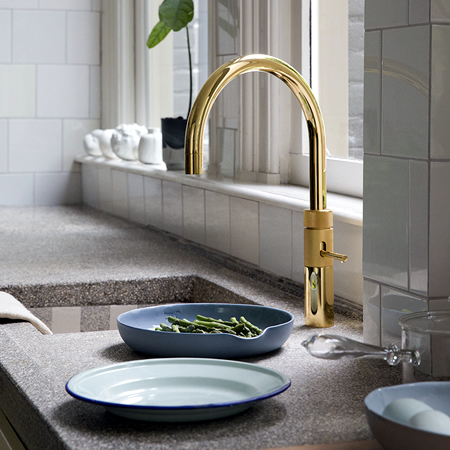 A Quooker saves precious space on your worktop. The space occupied by a kettle can be freed up to slice, knead and chop. And because the tank is so compact, there's still usable space under your worktop or in your kitchen cupboard. Make a quick pot of tea. Make filter coffee. Cook pasta. Blanche asparagus. Prepare a bottle of milk for a baby. Pre-heat dinner plates. Rinse that dirty casserole dish. You will be amazed by what you will use your Quooker for, including the things you might not even have brought it for. 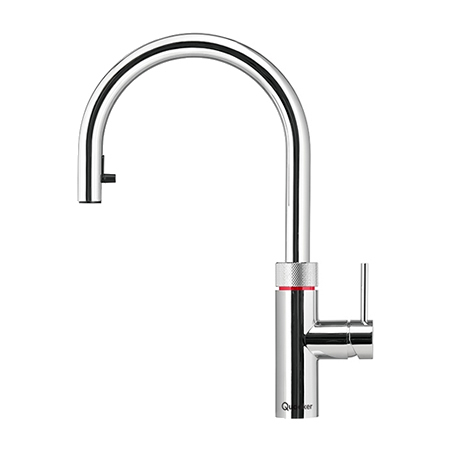 And with the Quooker Flex with it's extendable hose, rinsing your sink or cleaning that chopping board just became even easier. Enjoy fresh boiling water every day. An active carbon filter in the tank purifies the water. Futhermore, because the tank keeps it at a temperature of 110°C it is always fresh. This reduced the calcium level, helping, for example, to bring our the taste of tea. 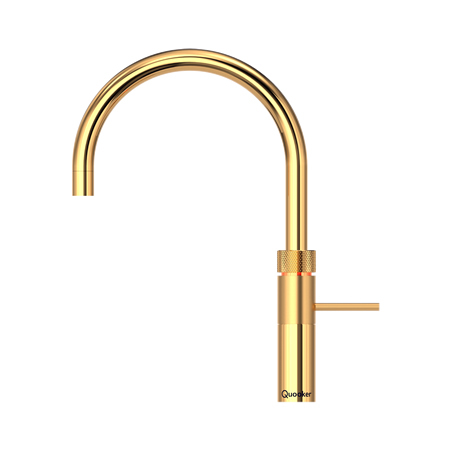 The Quooker was the world's first boiling water tap. It was invented in the Netherlands in the 1970s by Henri Peteri. The patented high-vacuum insulation in the tank, which keeps the water at a constant temperature in an energy-efficient way, has prompted a revolution in many kitchens. We now have 15 patents, which may only be used by Quooker. 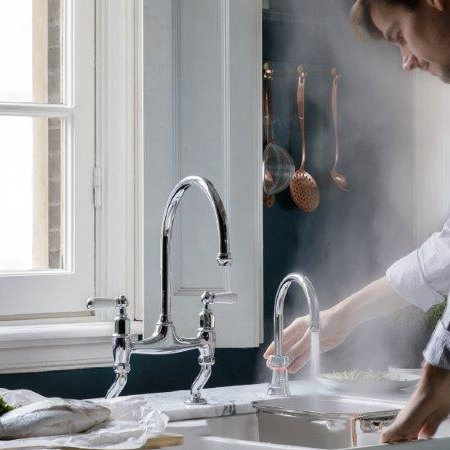 The Quooker is still manufactured in the company's own factory in the Netherlands, where we work every day on new technical ideas and design solutions to make the products even more efficient, even easier to use and even more attractive. 'Boiling water, straight from the tap. Is that safe?' 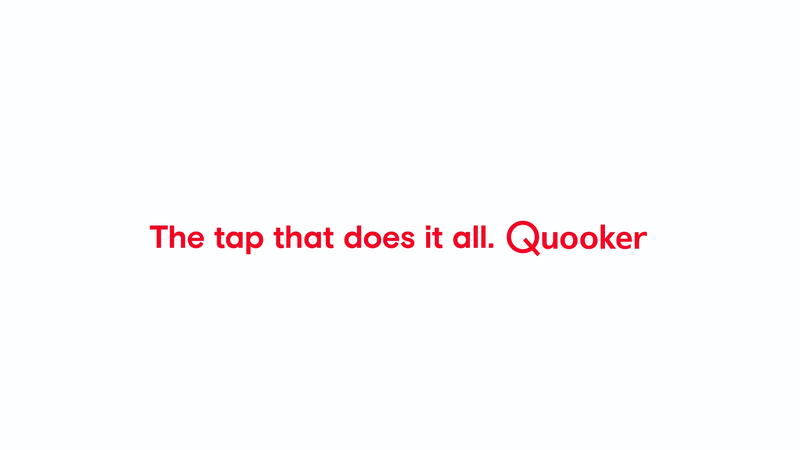 That's the most frequently asked question about Quooker. Our response is that the Quooker is the safest choice for every household. 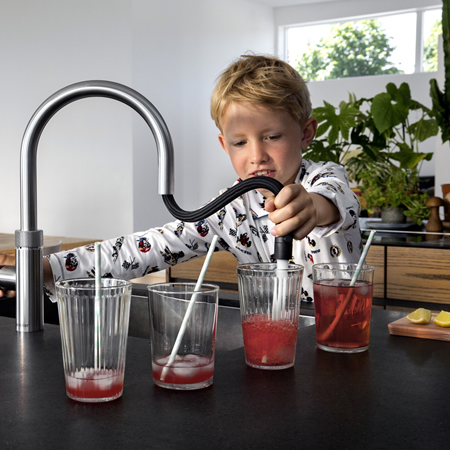 We have already installed over 500,000 Quookers around the world, with a number of important safety features, including a childproof handle. 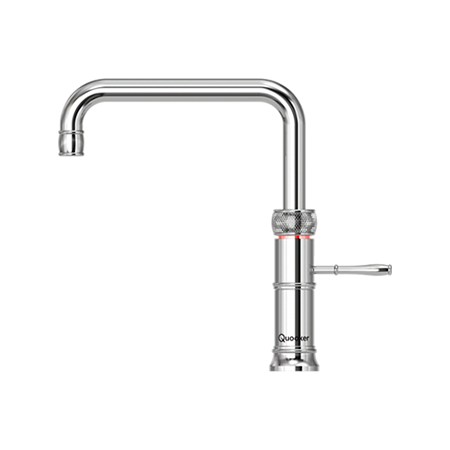 The tap's entire spout is insulated, swivels and is even height adjustable on selected models. When boiling water is being used, a lamp lights up. The flow of water is delivered as an aerated spray, not solid jet, preventing the risk of serious scalds or burns. And perhaps most importantly: a Quooker can't fall over, unlike a kettle or pan.